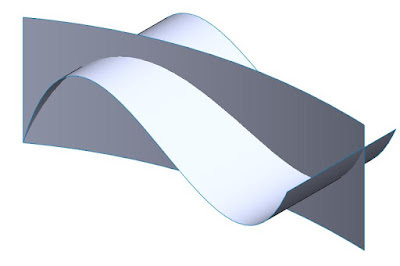 I'm back with the second method to draw a 3D curve in SolidWorks. 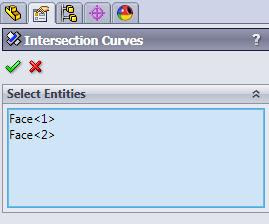 Now, open a 3D Sketch then select Intersection Curve. On the Select Entities, Select both surface and click OK.
Then you’ll get the black color 3D curve. 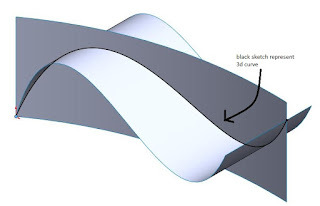 This curve can be edit by editing the 3D sketch created just now. The length can be edit by dragging the end point of the curve. If you want to edit the shape of the curve, delete the relation. there we go, the second method to create a 3D curve. The last method, next week. Jackson (jacksonlim@cadcam.com.my) is part of the team member who good in sufacing skill in SolidWorks. You won't believe it until you see some of the exotic cars he modeled with SolidWorks. I am fed up with windows and really want to get a Mac, specifically a MacBook Pro. However, I know that some programs only work on Windows.. . I am an engineer. Do most CAD programs still work on Macs?. . Also, I have heard of Boot Camp, which apparently lets you dual-boot Windows onto a Mac. Anyone have any experience with this? Will this allow me to run all windows programs on a Mac?.